CETOL 6σ Dimensional Tolerance Calculations & Reporting: Standardized reporting for multiple industries depending on variation analysis with accuracy. Sigmetrix offers a suite of software solutions, training, and implementation. CETOL 6σ is fully integrated with PTC® Creo®, SOLIDWORKS®, CATIA® V5-6 CAD platforms. Why CETOL 6σ? Look at the benefits! 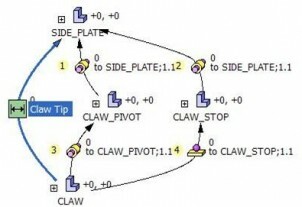 Sigmetrix recognizes that not all models require a multi-dimensional analysis. CETOL 6σ was designed with this in mind, giving you a simplified approach to modeling that gives confidence in single dimensional tolerance analysis with increased accuracy. The table below highlights the major differences between solving one-dimensional problems manually or with a spreadsheet versus with CETOL 6σ. Accuracy – standardized method Can be modified. Can have multiple appearances. Consistent. All analyses use same format, same mathematics. Modify feature dimension Find Excel analysis, transfer new nominal into spreadsheet, save. Open report, update, save. Do nothing. Analysis and report will automatically update upon opening. To maximize the value of CETOL 6σ, most of our customers address multi-dimensional problems by utilizing the software’s three main components – modeling, analysis and reporting. By utilizing the modeling component, designers and engineers can quickly build models for analysis. Becaus e the software pulls the necessary geometry features directly from the CAD system model, you can quickly move to the analysis stage. With advisory messages during modeling process, you build a tolerance analysis with confidence. 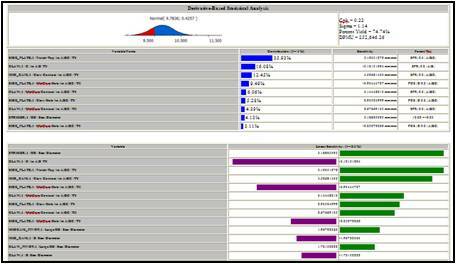 The powerful Analyzer window provides you with the interface for interrogating results. A user can quickly identify the top contributors to quality and make tolerance adjustments to understand the impact on assembly quality. Interrogation and interpretation of results is fast and easy with data sorting and organization. Cross-table views allow you to see results of multiple measurements at the same time and you can change values and immediately see the results. 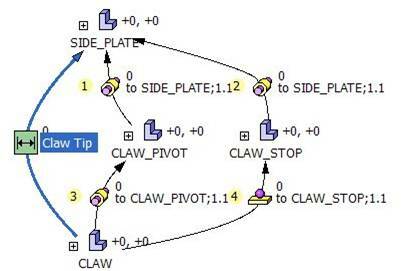 Embedded Sensitivity Animation, both statistical and worst-case, shows you how a single variable is impacted throughout the tolerance range on both assembly position and measurements. 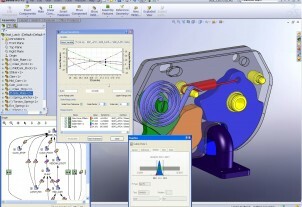 Key contributor analysis enables you to instantly see and adjust measurements and tolerances for a truly robust design. Consolidated reports provide the basis for communication with manufacturing and management. HTML output is utilized for reporting. Users can set default HTML reader as a preference, i.e. Word, Internet Explorer, Mozilla, etc. …go to PDF. Reports are customizable but standard reporting templates are included. Throughout the world, companies of all sizes and industries use CETOL 6σ when they need to understand the impact tolerances will have on a mechanical assembly. Based on survey results from our customers, here are some of the primary uses of this powerful tolerance analysis tool. Supplier A is 10% cheaper than supplier B but supplier A wants a wider tolerance. Can you choose supplier A? Only with CETOL 6σ can you know the impact that the tolerance change will have on the overall assembly – helping you drive to a lower per part cost. Scrap is reduced when you know whether or not parts that arrive from a supplier can or cannot be used in the assembly. Production delays are avoided when you know the impact that changes will have to the overall assembly. CETOL 6σ puts better information in the hands of the decision makers. Engineering Change Orders (ECO’s) can be reduced and you can focus on what is important. With CETOL 6σ, you can quickly see problem areas and simplify inspections by knowing what parts are critical to quality. Too many times, recalls and warranty issues are caused when good designs are lacking a thorough tolerance analysis. CETOL 6σ helps companies reduce warranty issues, field failures and product recalls by enabling you to perform a complete analysis in the same amount of time as a less than complete analysis could be done by hand. Customers today use CETOL 6σ to mitigate risk and reduce liability with detailed analysis and reporting. Sigmetrix’ clients are best-in class manufacturing leaders, dedicated to providing tolerance analysis solutions for such industries as aerospace, automotive, electronics, heavy equipment, and medical devices. The case studies and white papers below represent a sampling of success stories – companies and industry experts that have implemented our tolerance analysis and design optimization solutions to conduct reliable, efficient analysis and to produce more robust designs. Read more on our Case Studies & White Papers page.